A new Vietnamese spot to score bubble tea, smoothies, snacks and more has opened its doors in the neighborhood. Located at 12000 Bellaire Blvd. in Chinatown, the new addition is called JTea. 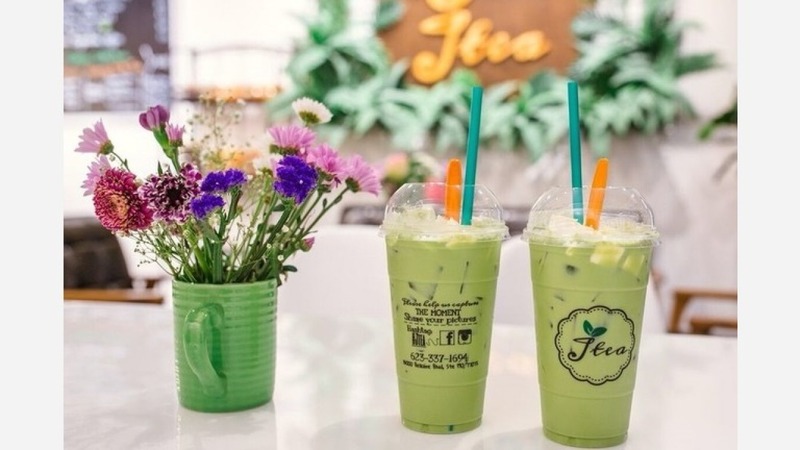 Diners can customize their milk tea with toppings like grass jelly, chia seed and aloe vera, or opt for one of the cafe's signature creations, like the green milk tea with milk jello. The green milk tea is also sold in bottles, for customers on the go. Also available are Vietnamese street foods like banh trang tron (rice paper salad with kalamansi juice, cilantro and hard-boiled eggs) and spring rolls. With five stars out of four reviews on Yelp thus far, the new bubble tea berth is off to a strong start. Kevin N., who was the first to review JTea on May 13, said, "The milk green tea with milk jello is bomb and I would say it's one of the best in Chinatown. The tea tastes authentic and the milk jello is definitely a favorite topping." "The prices are very affordable," wrote Son N., who also praised the service and added, "The drinks here are terrific, I love the fresh milk with black sugar boba!" Interested? Stop by to welcome the new business to the neighborhood. JTea is open from 10 a.m.-10:30 p.m. Sunday-Thursday and from 10 a.m.-11:30 p.m. on Friday and Saturday.